In 2016, I drafted an article on the theme of mothering in Jamaican novels that were published after 2000 that I have read. It was not a good look for Jamaican mothers, and I deleted the article. 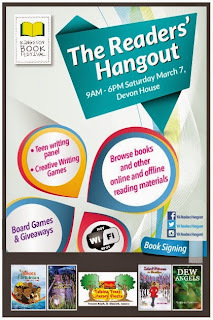 I had had the sense of failures in mothering as a theme in novels for a few years, but this was emphasized when I became a reader for the Jamaica Library Service National Book Reading Competition in that year. 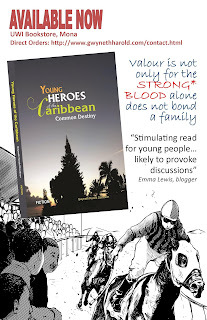 This is my third year of intensely reading books by Jamaican authors, and the impact of mothering on plot development is important to the themes that I encounter, so I am braving the matter again in this article. Perhaps the best-known Caribbean work on mothers and daughters is Annie John by the Antiguan writer, Jamaica Kincaid. The writing is a sustained caustic burn of a young woman's feeling of abuse from her mother's parenting. In this case, the abuse is criticism accompanied by the author's belief that her mother had withdrawn her love from her. The book is followed up by other Kincaid novels where failure in mothering is a dominant theme. Some may also extend mother to the country of her birth, as the novel "A Small Place" is acerbic about the political and social leadership of Kincaid's island home. On my Goodreads online account, shelf, I have listed 70 books by Jamaican authors. From that list I have 28 books marked "Jamaican Mothers"These are novels and autobiographies that were published after 1990 where mothering is a substantial theme. Aside from the novel "White Teeth", which was authored by Zaidie Smith, all of the other authors were born and raised in Jamaica. Smith is a British woman born to a Jamaican mother and English father. In "White Teeth", a major character, Irie, is a second generation British Jamaican, her mother is notable in that she has no teeth. This is just one way that we know that Irie's mother tries, but does not succeed in raising her daughter to excel in British society. Irie's grandmother, who was born in Jamaica, becomes a very important mentor for Irie, and Irie later wants to become a dentist, probably as a way to continually save her mother and earlier female antecedents. There are three autobiographies in my mothering list, two are autobiographies by cricketers, and these two are overwhelmingly in praise of motherhood. In Whispering Death, Michael Holding gives kudos to his parents, individually and together, for his upbringing. He credits his mother for her role in his nurturing of the game of cricket and as a young adult. He emphasizes in his book that the Holding Pavilion at the Melbourne Cricket Club, Kingston includes his parents, and is not named in his individual honour. Christopher Gayle, whose autobiography "Six Machine: I don't Like Cricket, I Love It" gives credit to his parents as nurturers and unwavering sources of love. His mother is a hero in his life then, and also now, and he absolutely delights in her. "Lives of a Soul" is an autobiography but it reads like fantastic fiction. Throughout this book, mothers are either rescuers and revered figures, or negligent and incapable persons. Both exist in this writer's view as real forces for good and evil in the world. The Happiness Dress and Abigail's Glorious Hair by Diane Browne are both children's books, and mothers play a role in self-perception. Abigail's best times are when her hair is being combed by her mother. It reinforces love and gives her a feeling of being nurtured. In The Happiness Dress, British born Carolyn's colourful handmade dress from Jamaica is looked down upon by her mother and grandmother who live with her in the UK. It is other British people who admire her Happiness Dress: a direct caution by Browne to persons who love Jamaica, but who discount the traditions that have defined Jamaica as a motherland. I have observed the role of mothers in three of the late Garfield Ellis' novels. From memory, as I have not re-read them recently, "For Nothing At All" and "Wake Rasta" tell of neglect by mothers who took their eyes off their children, allowing them to be carried away into the unsavoury sides of life's experiences. The neglect extends into the community as there are weak support systems to promote integrity, but strong systems for honour among thieves. The third book by Ellis, "Such As I Have" seems to have been a foresight of his own life. This is another book centred around the game of cricket and the mother is the sole support for a young woman who has a lot on her mind. The mother is crucial for this story of devotion and acceptance that Ellis wanted to tell. The fantasy books on my list are YA books. Susan Francis Browne's "The Mermaid Escapade"
is a children's heroic adventure, and the prominent central figure for them is the wise River Mumma, a queen mother. River Mumma as a mythical queen is also in the "Delroy in the Marog Kingdom" by Billy Elm. In both books, the love of mothers and fathers is a foundation for the children. The reflection on childhood "All Over Again" by AdZiko Simba Gegele is nostalgic, of a beautiful past epoch. This theme of loving, united parenting is also the theme in the book "No Boy Like Amanda" by Hope Barnett. In both books, the two-parent, single household family is secure in its existence and the community is a safe place that reinforces home values. "The Dixons" by Claudette Beckford Brady slips slightly away from this by introducing the proverbial snake in the garden. The Dixon family has a wise and loving mother and hardworking and loving father, and they are the rescuers of a girl who is floundering because of negligent parents, particularly a negligent mother. Michelle Thompson's "A Way To Escape" is the triumph of the hard working mother over a failed marriage and working class situation. Rose is the quintessential mother who overcomes hardships through grit and prayer, keeps her children together, and then successfully escapes from Jamaica to Canada. Escape is the sub-text of Pamella K Marshall's Barrel Children series. In "Breaking The Cycle" two individuals who grew up in Jamaica as barrel children and were raised by conscientious relatives, migrated, got married to each other, yet continually struggle through feelings of abandonment, fear and shame. The girl, who becomes wife and mother, bears the heavier burden as she is the one who offers the forgiveness that keeps the marriage together. She makes mistakes right through the book, but the author gives her an additional pass, as she has developed a mental disorder. Both characters struggle through the book to overcome the childhood pain of having been left behind by mothers who escaped from Jamaica. The hapless fate of the motherless child who is hurt by life is well explored in "Mr King's Daughter", "Turn Back Blow", "The Last Warner Woman", and "The Mountain of Inheritance". "Mr King's Daughter", by Hazel Campbell, features a girl who is being raised by her single father who dotes on her. She makes decisions that cause her to enter into worries which are resolved with the love of a good man. She would have avoided those worries if she had a solid female parent is perhaps the unwritten message. I may be writing in things that Campbell never intended. The hilarious "Turn Back Blow" by Roger Williams features the boy Clifton who has conversations with animals, and who is suffering because he has no parents and is living with an abusive uncle who is also involved in crime. The protection and nurturing of the boy is provided by his animal friends and also another child. Kei Miller's "The Last Warner Woman" features Adamine Bustamante whose mother died, leaving her to be raised by an elderly woman who works in a leper colony, in other words, in an extremely marginalised society. It is hardly surprising then that the naive Bustamante is vulnerable to the vagaries of Jamaican society and then the wider world. I have recounted nine books where the mother is a force for good; Whispering Death, Six Machine, Abigail's Glorious Hair, Such As I Have, Mermaid Escapade, All Over Again, No Boy Like Amanda, A Way to Escape; Delroy in the Marog Kingdom. Six books have examples of good counterbalanced with bad or inept mothering: White Teeth, Lives of A Soul, For Nothing At All, Wake Rasta, The Dixons, Breaking The Cycle. Missing mothers whose children are being nurtured by others are in three books, Mr King's Daughter, Turn Back Blow and Last Warner Woman. The remaining ten books are not a positive reflection on mothering. I mention again The Happiness Dress as a criticism of members of the diaspora who disparage Jamaican traditions because they are not trendy. Carol Dunn's family saga, "The Mountain of Inheritance" actually has several mother themes. It starts with a girl who is placed into sexual slavery by her mother, and she grows up to marry a widower with two small children. The mother of those children was doomed to a life of grief, even if she had lived, as she became a mother by sexually entrapping an unsuspecting student cleric. What does she who has never been mothered, know about mothering? The book is a saga that crosses many different storylines, but these mothering matters are essential to the plots and themes. Diana Macaulay's "Gone To Drift" features the boy Lloyd who is closest to his honest and impoverished grandfather who has disappeared. His mother is the consort of a criminal and she also does not care for her son. Coleen Dennis-Smith details traits of these unready mothers in "Generation Curse" and For Her Son"
"Generation Curse" is one of the most disliked books, I believe, based on reactions that I have seen. I loved the book's metaphors, imagery, characters and plot development. I do have sympathy for readers for being disgusted by the storyline of a poor, pious, rural grandmother who does not complain about raising the ten grandchildren who her children have left on her without any support. Although she lives an upright lifestyle and is kind to her grandchildren, one after another the children come to grief, and their parents do not care. One of the woman's daughters lives nearby and works steadily and helps her mother while raising her children within a marital home. "For Her Son" , also by Smith-Dennis, is the rare book whose characters have a wealthy background, but the mothering is no less terrible. In this book, the child is at risk of ruin because of an overly indulgent mother. Two generations of women are considered Nicole Dennis-Benn's "Here Comes the Sun" where a mother sacrifices the elder daughter so that the younger can have a better life. The elder daughter accepts her role, and she sees prostitution as justifiable work. Melanie Schwapp's "Dew Angels" features a girl who is mistreated by her parents because of her skin colour, and the blame is placed on the customs of the wider society, as her mother is not strong enough to resist the culture. The scandalous community woman who does care for the suffering protagonist dies gruesomely for her efforts. Colour again plays a role in "Dancing Lessons" by Olive Senior. Gertrude, an elderly woman, comes to her moment of reckoning and she traces her own motherless status as a dark skinned orphan in a family of light skinned relatives as being the root of her trials in childhood and her decisions in adulthood. She also notes that the years of fighting between her and her estranged husband negatively affected her relationship with her their children, and yet they ended up loving him more than her. As far as Gertrude was concerned, she was a hardworking, long suffering, black woman to whom fate had dealt an unfair hand. Then my own books, Bad Girls in School and Young Heroes of the Caribbean. In both, I believe that I wanted to show that very close communication with children is an important part of caring for them. In Bad Girls, Taj is a barrel child whose grandmother is a bit too busy for her; Katreena's mother is focused on her career as a policewoman, and Caledonia's parents are oblivious of her needs and the risks that they have unwittingly exposed her to. None of the girls were saved by their parents, the school system became the parent. 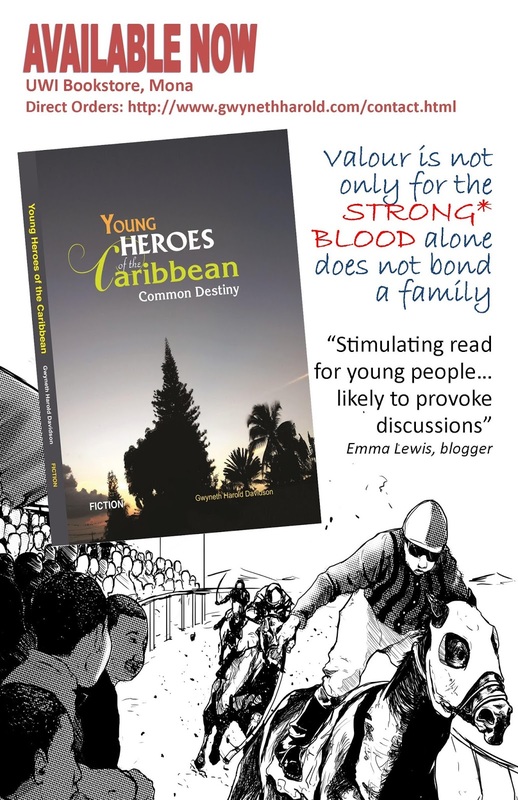 Young Heroes of the Caribbean finds a boy at the crossroads of a loving but inept mother and an ambitious father. Father wins the day, and his mother has to start a journey to develop herself into a stronger individual who has personal aspirations and who can be a capable parent for her child. Along the way, she fosters a girl and relearns parenting. At this point, after my read of 28 books that I have shelved as featuring mothering as a strong theme and that were published within the last 30 years: about 11% of the books have children with no mothers; 21% of the mothers are inept at mothering or others act as surrogate mothers; 29% of the books are odes to good mothers; and 36% are severely critical of mothers. Mothering is not the only theme in these works, I have just found the theme to be oft mentioned. I have watched three stage plays in the last two years. One was Rosie Murray's One Woman Play "A Slice Of Life" and the other was "Tek Yu Han Offa Mi" by Michael Dawson starring Murray. In that play the protagonist was encouraged into an immoral and violent romantic relationship by her own mother. The third play was "Pressure Drop" by Basil Dawkins. It is about the turning point in the life of a family and two mothers influence the plot, one mother is dead and the other is alive. The memory of the angelic dearly departed wife of a simple farmer and mother of his educated, but weak-willed son, is written into the script through their words. We feel her as a source of stability, conscience, assurance and immortal love in their lives. The living mother, Dotsy, brilliantly played by Ruth Ho-Shing, whose daughter is played by Maylynne Lowe, is demented, but her true racist and dishonest nature, has influenced the family just as much. She has ostracised her son-in-law and daughter, contributed to her daughter's alcoholism, and through ruthless business practices, damaged prospects of other families in the community. Of this, she regrets nothing.Is this a word from our writers to our society? In this second part of the article, I will include statements on the gender of the writers of the books that I have chosen. This is a selection of only 28 books out of the potentially hundreds of books that would have been authored by Jamaicans. It would not be unfair to say that this new activity to separate by gender will denounce the whole exercise as meaningless as the results would be statistically insignificant. My reviews will also be influenced by my own views and my memory, as some of these books were read some time ago. I read "White Teeth" about 20 years ago. In defence of my activity, I highlight that 12 of the 28 are books that were on the Jamaica Library Service National Book Reading Competition between 2016 and 2018, and so would have been recently published books that were widely available in the marketplace and vetted to be of a high enough quality for their competition. Books that had won competitions include "All Over Again" 2014 First Place CODE Burt Award for Caribbean Young Adult Literature; and Gone To Drift which won second prize for the 2015 CODE Burt Award for Caribbean Young Adult Literature; Mountain of Inheritance which was awarded a Gold Medal in the JCDC Creative Writing Awards and is in their 50th Anniversary Literary Catalogue; Such As I Have which won the Una Marson award for Adult Literature; Bad Girls In School was shortlisted for the 2008 Vic Reid prize for Children's Literature. No Boy Like Amanda is on the book list of several primary schools and Bad Girls In School is on the book list of some secondary schools. Most of the books are written in the literary style, but Lives Of A Soul, The Mermaid Escapade, Delroy In The Marog Kingdom and Turn Back Blow are fantasy fiction. The other 14 included three fantasy books that were only published online "Turn Back Blow'; "Mr King's Daughter" and The Mermaid Escapade". Of the 28 books selected, 10 were authored by women, and eight by men, which is a 71% female to 29% male ratio. It would be good to know who is doing most of the writing in Jamaica, my own reading experience is that it is mostly women. behaviour. This ranged from neglect to, deliberately corrupting their children. The female writers had a 60% incidence of positive fathering whereas the male writers were definitely lukewarm at 37%. For 25% of the books, authored by men, mothers were missing; and 37% of the time the fathers were missing. For women authors, 15% of the books were silent on fathers but in 5% mothers were missing. Of my list, there were several other books that I have read, but perhaps I did not think that the theme of mothering was evident, but perhaps over time I may change this view. "A Brief History of Seven Killings" by Marlon James (no good examples of parenting); "From Harvey River" by Lorna Goodison (ode to fatherhood), the memoirs "Flame of the Forest, Memoirs of Church Teachers College" (good examples of nurturing parenting) by St Hope Earl McKenzie and Rachel Manley's Drumblair Series "Memories of a Jamaican Childhood" and "Slipstream" (absent mother and loved but ineffective father).